Part wing spear and part boar spear, this LARP Viking Warrior Spear is a recreation from the Viking age, one that features a hewing spear head with crossbars at the base to prevent anything you gore from sliding up the shaft to you. Unlike its historic counterpart, though, this spear is designed to be safe to use on your fellow man. 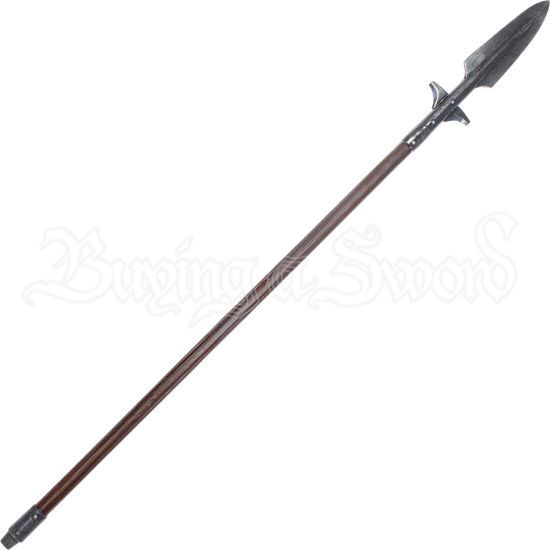 The spear head is iron-grey with a broad blade and a fine point, with angular flanges just beneath. 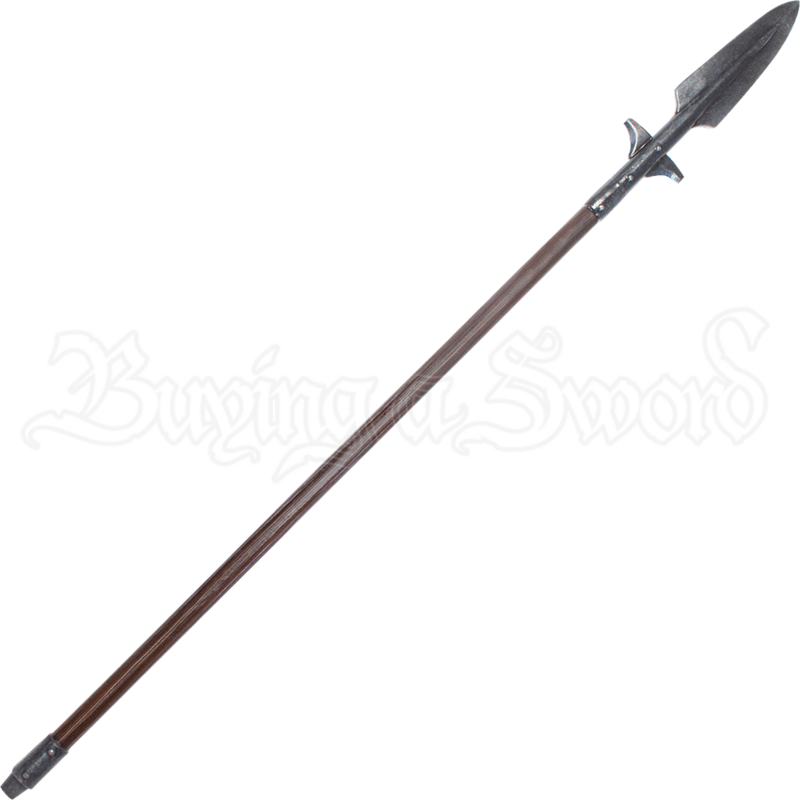 The spearhead is mounted on a Woodgrain staff that gives plenty of reach and the same versatility of a true quarterstaff in a pinch. It is crafted from an extremely durable foam that does not shred, which has been sealed within a strong coating of latex. As safety is always a concern in LARP, this weapon also features a round, flexible fiberglass core that bends and flexes. The core also features a durable Kevlar cap for added protection, both against the core and for when the weapon is used to stab. Please note that the wood tones on the stave can vary slightly from what is shown here. Unfortunately we are unable to pick specific color combinations for orders. The LARP Viking Warrior Spear has an average overall length of approximately 74 inches. Please be aware that measurements may vary slightly, as it is a handmade item. Latex weapons do need to be maintained to a certain degree. We offer a Maintenance Silicone (MCI-2000) that can be purchased separately in the LARP Accessories section. We recommend that you use this Silicone on a regular basis. It has an easy, spray on application, and it will keep the coating flexible, which will make the weapon last much longer. The maintenance silicone also protects the coating from drying out and helps the weapon resist general wear and tear from normal use.